Some goals of the Internet design have been achieved; such as a global digital space, easy to access, wired and unwired and broadband. A lot of not yet achieved; such as truly for everyone, full coverage, latency sensitivity, sophisticated distributed processing, things to be connected and eternal preservation of data. When we define the world today as the `Internet Civilization', what we should work for some essential elements of the Civilization including the architecture of the Internet, coming and expecting technologies and social design would be discussed. He received his Ph.D. in Computer Science, Keio University in 1987, majored in Computer Science, Computer Network and Computer Communication. He developed the Japan University UNIX Network (JUNET) in 1984, established WIDE Project in 1988, aiming to research and develop the computer networks. He is a member of the Strategic Headquarters for the Promotion of an Advanced Information and Telecommunications Network Society (IT Strategic Headquarters), a member of the Cyber Security Policy Council, National center of Incident readiness and Strategy for Cybersecurity(NISC), Cabinet Secretariat, chairs and serves on many other governmental committees, and is active in numerous international scientific associations. He is known as the "Internet samurai" and, in Japan has also been called "the father of the Internet in Japan". He was a Member of Internet Architecture Board (IAB) from 1993-1995, Board of trustee of Internet Society (ISOC) from 1997-2000, Board of Director of the Internet Corporation for Assigned Names and Numbers (ICANN) from1998-2000. He was inducted into The 2013 Internet Hall of Fame (Pioneer)/ 2011 IEEE Internet Award / 2005 Jonathan B. Postel Service Award. Title: "Designing the quantum Internet"
The coming Quantum Internet will bring us new capabilities: advanced cryptographic functions, high-precision sensor networks for uses such as high-resolution astronomy, and secure distributed quantum computing. Experimental progress on the components for quantum repeaters is moving at a dizzying rate, and theorists have proposed various approaches to managing errors to create high-fidelity quantum entanglement. Building quantum networks presents different challenges from building quantum links. I will give an overview of these issues, then discuss the even more daunting challenge of creating a network of networks -- an internetwork -- and show how our simulations are guiding the design of a true quantum Internet. Rodney Van Meter received a B.S. in engineering and applied science from the California Institute of Technology in 1986, an M.S. in computer engineering from the University of Southern California in 1991, and a Ph.D. in computer science from Keio University in 2006. 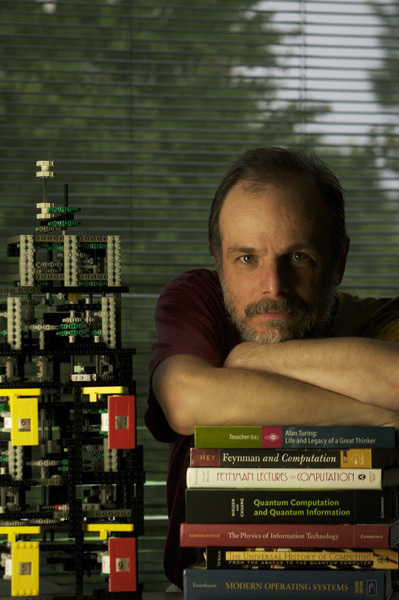 His current research centers on quantum computer architecture and quantum networking. Other research interests include storage systems, networking, and post-Moore's Law computer architecture. He is now an Associate Professor of Environment and Information Studies at Keio University's Shonan Fujisawa Campus. He is the Vice Dean of the Graduate School of Media and Governance, and the Vice Center Chair of Keio's new Quantum Computing Center. Dr. Van Meter is a member of AAAS, ACM and IEEE. Title: "Beyond Internet Research: Be Systemy!" Research on the Internet has been a good topic for the last three decades, thereby having produced a lot of PhDs. Examples of the work include "new" architectures, measurement and various protocol extensions, such as mobility or multipath support, faster, flexible or secure signaling and better data multiplexing, to name but a few. As it turns out, the Internet has demonstrated its superior scalability, but not extensibility, resulting in ossification phrased as "HTTP as a narrow waist of the Internet", "IP options are not an option" and "Is it still possible to extend TCP?". In this talk I suggest not to do research on the Internet itself anymore, and discuss possible interesting topics surrounding it. For example, its core technology could be a basis of solving general networking problems. Further, unlike phone lines, the Internet is still in use, introducing a lot of interesting workloads that stress various system components. I will review several topics which do or do not follow this line, and introduce some of our recent and ongoing work, including network stack, load balancer and storage stack. 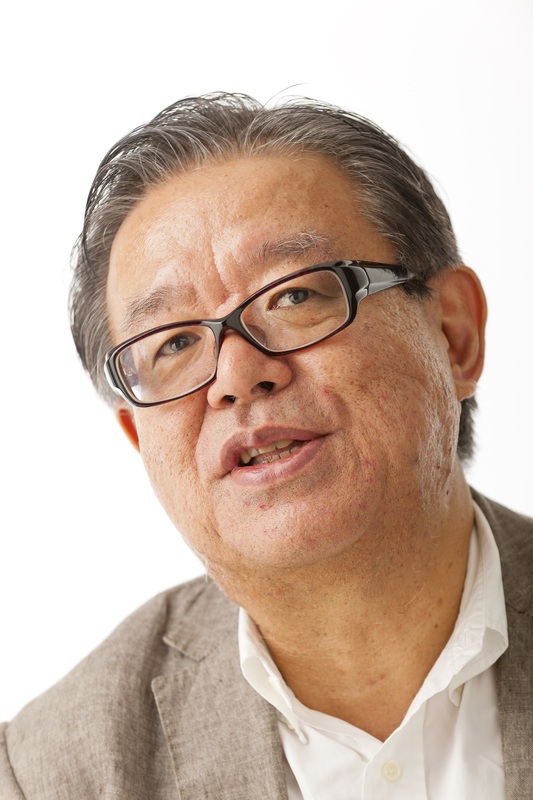 Michio Honda is a senior researcher at NEC Labs Europe in Heidelberg, Germany. Before that, he was a software engineer at NetApp in Munich. 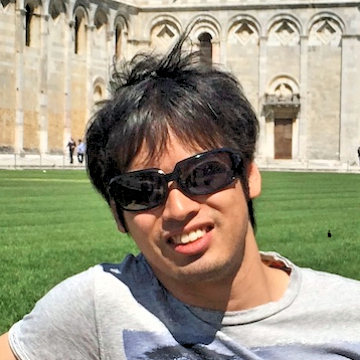 He received his phd degree in 2012 at Keio University in Japan. He has worked on transport protocols, congestion control, middleboxes, network stacks, scalable software switch, and network/storage stack co-design for persistent memory. He has published in venues including USENIX NSDI and ATC, and ACM HotNets, SOSR, IMC, CCR and SoCC. He received IRTF/ISOC Applied Networking Research Prize in 2011, and best paper award at SOSR'15. 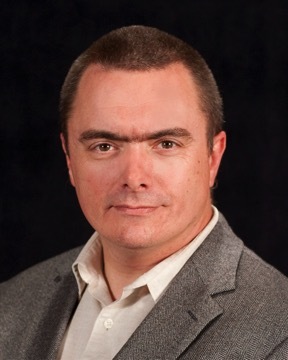 He has served as a TPC member of several conferences, including USENIX ATC, and ACM SOSR and ANCS. He has been a contributer to the netmap framework, bringing the research results into the real world and making them available to everybody. Title: "Internenet Measurement, how to get the relativities right at scale"
APNIC is now eight years into a continuous measurement of IPv6 and DNS, based on web and in-game advertising, which crucially depends on random placement. We are increasingly aware of a worldwide problem establishing "ground truth" for the relative amounts of data seen from different Origin-AS. The talk explores our methodology and dimensions of concern for this question. Title: "Past, Present, and Future of DNS Resolution"
The Domain Name System has been a critical enabler of Internet growth since its inception in 1987. In the decades since then, the DNS _resolution_ process has evolved from the LAN to the WAN, and to Anycast; it now includes DNSSEC _validation_, Extended DNS (EDNS) Client Subnet, larger message sizes, and I18N. The resolution processs has also been abused for surveillance, advertising insertion, and exfiltration. Today the DNS resolution process is poorly understood, and yet under forced revision. The trend is for DNS to be carried inside HTTPS where it cannot be monitored or controlled except by servers and clients themselves, and the dangers this will yield must be studied and discussed while the future remains flexible. Dr. Vixie (Keio, 2012) will describe the past and present of DNS, and discuss its likely near term future. Paul Vixie was responsible for BIND from 1989 to 1999, and is the author of a dozen or so IETF RFC documents about DNS. He also started the first anti-spam company (MAPS), and was the founder and later president of the first U.S.-based commercial Internet Exchange (PAIX). Today he serves as CEO of Farsight Security, home of the Security Information Exchange (SIE) and the world's leading Passive DNS database (DNSDB). He managed the F-root DNS server from 1996 to 2012, and wrote the Cron software used on all UNIX-type computers today. He is also co-inventor of the DNS Response Rate Limiting (RRL) and Response Policy Zone (RPZ) feature-sets now in wide use to protect the operational Internet Domain Name System against online attacks. He received his Ph.D. from Keio University in 2011, and was inducted into the Internet Hall of Fame in 2014. Title: "Challenges and opportunities from large scale Internet measurement infrastructures"
The RIPE NCC runs 2 large scale Internet measurement infrastructures, RIPE Atlas and RIPE RIS. In this presentation we'll dig deeper into these infrastructures, challenges in running them and analysing the data coming off of them. I'm a system architect/research coordinator at the RIPE NCC, where I work in the science group. I'm a chemist by training, but have been working since 1998 on Internet related things, as a sysadmin, security consultant, web developer and researcher. I am interested in technology changes (like IPv6 deployment), Internet measurement, data analysis, data visualisation, sustainability and security. I'd like to bring research and operations closer together, ie. do research that is operationally relevant. When I'm not working I like to make music (electric guitar, bass and drums), do sports (swimming, (inline) skating, bouldering, soccer), and try to be a good parent. Title: "Creating interactive experiences with Mixed Reality"
The ubiquity of personal mobile devices enables users access to a wealth of online information and services at their fingertips. However, in terms of the interactive experience, there is still a distinct gap between what users physically see and touch at the physical location and the digital content that they are interacting on their mobile device. With the use of Mixed Reality (MR), physical and digital information spaces can be merged, in which digital content can be accessible directly on the physical objects. In this way, MR has the potential to enable a more immersive experience. In this talk, we explore how MR can enhance our daily experience in terms of shopping and exhibitions, and discusses the future of MR and the factors that need to be considered when designing Mixed Reality experiences going forward. 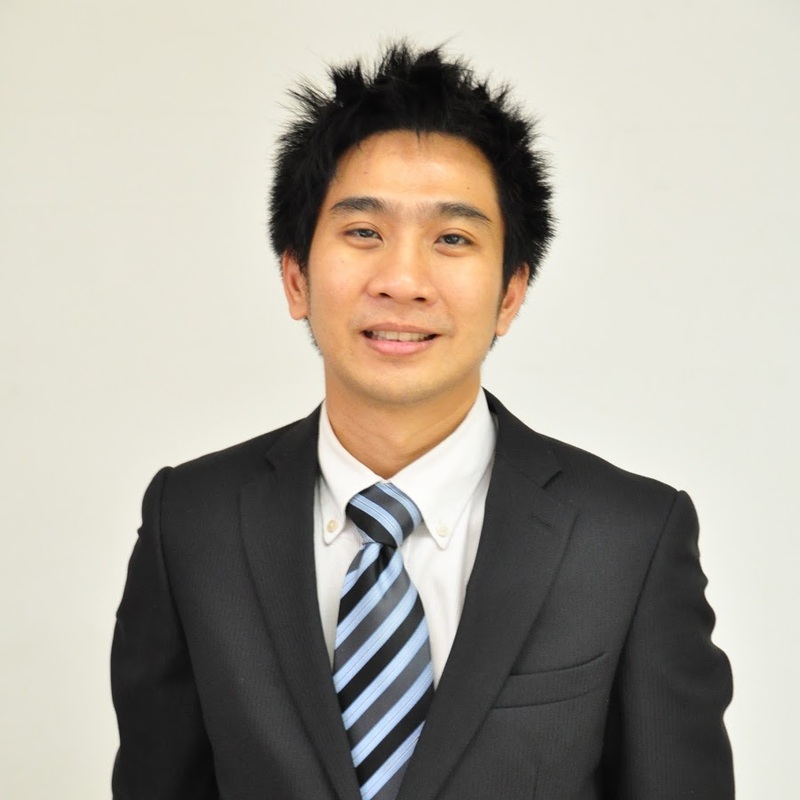 Dr Kelvin Cheng is currently a Research Scientist at Rakuten Institute of Technology, the R&D lab of Rakuten, Inc. He received his PhD in Computer Science from The University of Sydney. His previous affiliations were Keio-NUS CUTE Center, National University of Singapore, and CSIRO ICT Centre, Australia. He has extensive experience and expertise in the domain of interacting with large surfaces and multi-display environments using bare-hand interaction, and multi-touch devices, and more recently involved in use of augmented and mixed reality platforms to increase consumer experiences. 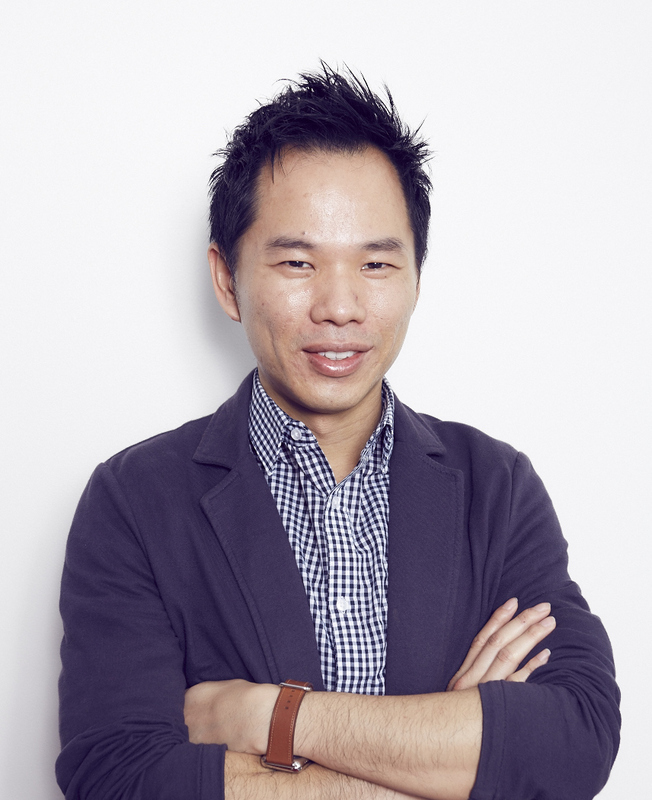 He has previously lectured at the National University of Singapore on Mobile Interaction Design, as well as the use of interactive technologies such as iBeacons and Microsoft Kinect. At Rakuten, he has been involved in projects related to mixed reality shopping, FC Barcelona uniform collection exhibition, and 5G trial demonstrations. Title: "SmartSantander: an IoT-based Smart City Testbed"
SmartSantander testbed is an urban deployment of Internet of Things (IoT) devices in the city of Santander. Such massive deployment has a two-fold approach. On the one hand, it allows to the scientific community to experiment with IoT technologies and Smart City services, including prototyping deployments in a real urban scenario. On the other hand, it also provides a set of services to the citizens, including parking management or environmental monitoring, among others. During the presentation, the SmartSantander testbed will be described, including the architecture and communication technologies used in the testbed. Furthermore, the presentation will also include the current efforts to federate testbeds from Europe and the rest of the world, and the movement to implement open standards for the Smart City through FIWARE. Juan Ramón Santana obtained his MSc in Telecommunication Engineering at the University of Cantabria in 2010. He is currently working as research fellow in the Network Planning and Mobile Communications Laboratory, a telecommunication research group from the same university. 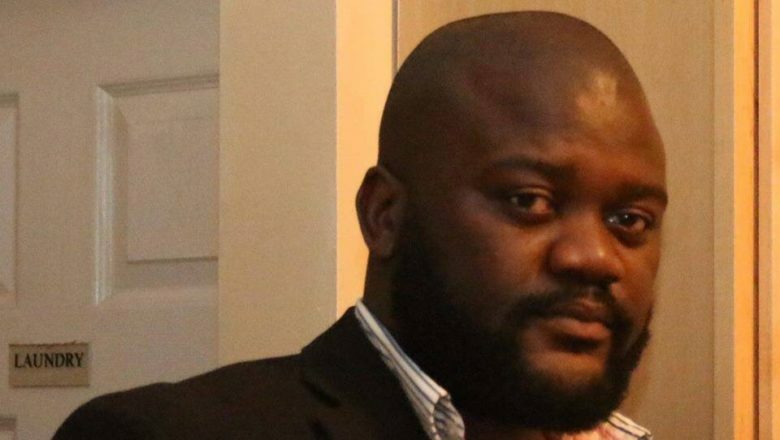 Prior to his current occupation, he stayed for six months in the Silent Herdsman startup company (formerly known as Embedded Technology Solutions), a spin-off from the University of Strathclyde in Glasgow, working on IoT solutions for the cattle industry. Since then, he has been involved in several Smart City international projects, from which we can highlight SmartSantander, working on tasks such as the integration and deployment of the SmartSantander communication infrastructure; Over the Air firmware update implementation; and the testbed platform development. 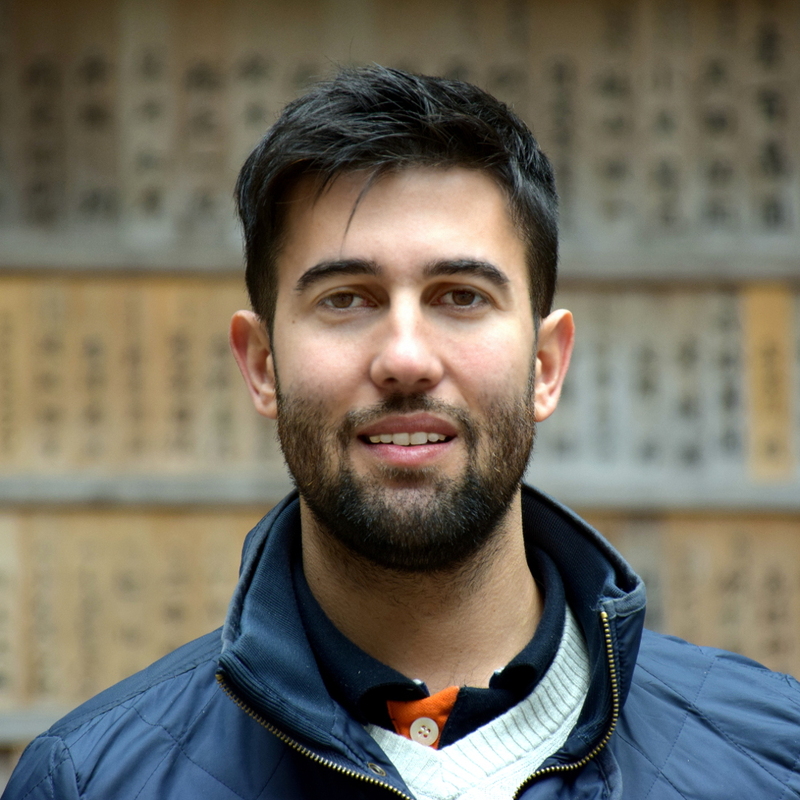 Beyond SmartSantander, he has been also working in other EU projects, such as EAR-IT, FIESTA-IoT or FESTIVAL, an EU-Japan collaborative project, working on platforms to federate international testbeds. Finally, it is worth mentioning that he has collaborated in more than 20 publications, including conferences, journals and book chapters. Title: "The Cameroon Internet Shutdowns-Technological Framework"
Research shows that one of the following techniques, DNS-based blocking, IP address blocking, URL-Based blocking, Search Engine platform censoring, and Deep packet inspection based blocking have been used in the past to block or filter content by governments in Africa. The Cameroon internet shutdown was a total black out. This paper seeks for illustrate how it was done and the impact on innovation and development. Title: "Traffy Waste - a smarter way to collect and management waste collection"
The logistics of waste collecting in Thailand is mostly performed manually with traditional route management without the help of information technology or IoT. Although tracking device are installed in some of the waste collecting vehicles, the tracked data were used for real-time location but the fleeting activities and performance were not yet analyzed and understood. In this project, we proposed system where the trucks are equipped with a high frequency and high accuracy GNSS-sensor. With this sensors, we can achieve fours key objectives. The first objective is to provide real-time location and detailed activities of the waste collecting logistics such as collecting, in-a-traffic-jammed, or at-terminal. The second objective is to provide performance analytics of the collecting logistics such as truck utilization, the number of and duration of pick-ups per trip, and route trajectory. The third objectives is provide more effecient route recommendation to reduce fuel and operational costs. The location of waste pick-up are identified and extracted automatically using machine learning. The fourth objective is provide two-way communications with citizen using mobile application. Mobile application can be applied to enable the request-for-pick-up with a notification when the vehicle is near the requested pick-up location. This system can improve vehicle utilization, reduce operating cost, make the city cleaner. Wasan Pattara-atikom is currently the Head of the Intelligent Transportation Systems Laboratory and Principal Researcher at NECTEC. He earned two Master degrees in Telecommunications and Business Administration, and a Doctor of Philosophy in Information Science from the University of Pittsburgh. His research interest focus on the area of Intelligent Transportation Systems (ITS) and Data Analytics Visualization. He was responsible for the Traffic Information Dissemination Project (Traffy) which was selected as an outstanding project by the National Science and Technology Development Agency and the Ministry of Science and Technology in 2008 and 2009. Dr. Pattara-atikom published over 80 peer reviewed articles, submitted 7 patents.. He was recently listed on top scientists in Thai Institutions according to their Google Scholar Profiles. He also served in the office the Ministry of Science and Technology in 2012, and in the office of the Deputy Prime Minister in 2013. Call for Paper is closed. The Internet has been the common communication basis for the innovation. We see many social changes happened along with the development of the Internet. Numerous unique services, such as large-scale distributed mail services, voice and video streaming services, mashup Big-Data web services, and virtualization of computers and networks, used the Internet to lead the social changes. However, the knowledges that was necessary for the changes and that can support further progress in the future, are not in the form of accessible information that can be referred from the public. As a result, those knowledges are redundantly duplicated, leading to the ``reinventing the wheels’’ situation. We think it suggests that such knowledges better be implemented as the additional functions embedded in the Internet platform. In the recent activities around the Internet, many valuable technologies have emerged, such as deep-learning technologies, blockchain technologies, and the IoT (Internet of Things technologies reinforced by sensor systems). On the other hand, cyber security is more and more considered as a serious danger to our society. We think that this is the right time to start considering re-design of core framework in the future Internet, for example, communication framework, application framework, data management, service framework, and security framework, for the purpose to strongly support the emerging applications. We, the program committees of IC2018, hope to gather many experts’ knowledges and opinions from many area of expertise, regarding the desired features, the example cases of challenges, the problems in the applications, the limitations of current Internet, and the new demands for the Internet. We highly appreciate the submissions and participations from new areas to the IC2018. We also believe that an academic conference should serve as a venue to present cutting edge technologies and deep investigations of a topic through the strict review process. In the context, we provide IC2018 by devoting more effort to reinforce a higher quality of reviews to all of authors. Specifically, we are planning to provide more number of reviews (more than four) to each of submitted papers, than our previous convention (two or three). Note: The (*) mark indicates special topic in the conference. More detailed instruction is available.